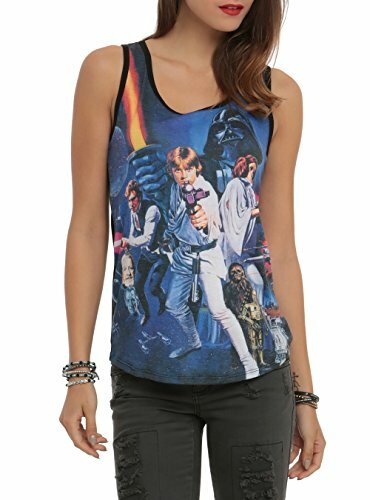 For ladies who love Star Wars, there are loads of Star Wars themed tank tops and t-shirts but todays’ selection is a bit special. 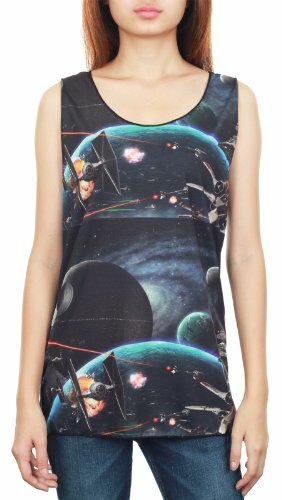 We have scoured the internet for the cutest, most feminine Star Wars designs that are bound to be a big hit with everyone. With Star Wars Day coming up soon, these are bound to make a great gift for female Star Wars fans. First up, we have a selection of three really cute t-shirts with fun and unique designs. The Jawa are one of the races in Star Wars that are familiar even though they aren’t main characters. They wear plain robes so it’s difficult to tell their gender but the little bow on this design makes this Jawa definitely girlie! I love the sad AT-AT design with the big plastic collar around its’ neck – my dog looked exactly the same when he had to wear one of those collars for a while. The next three designs would probably work for guys too but I thought the designs were so cool, I just had to include them here. I love the simplicity of the Stormtrooper face – just a few lines and dark shapes but it’s instantly recognizable. The Darth Vader/Yoda half faces design is definitely different! I haven’t seen anything like it elsewhere and would make a great t-shirt for someone who doesn’t have a favorite faction! 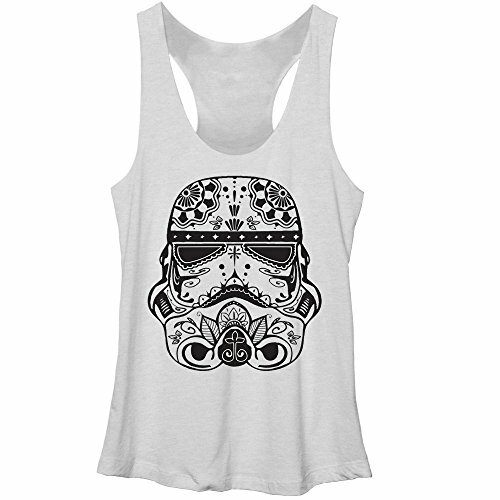 With Summer coming to the northern hemisphere soon, these Star Wars tank tops are perfect for those long summer days. 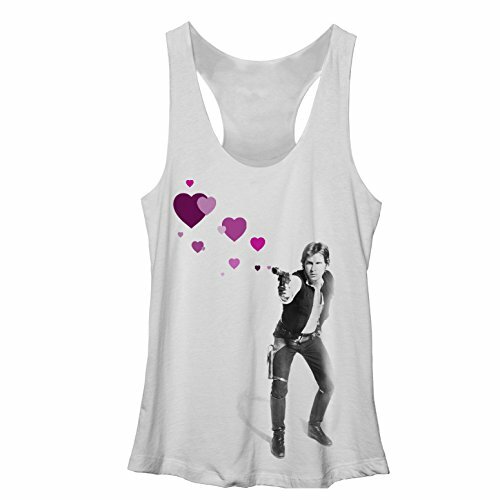 Show your love of Star Wars with this great Chewbacca tank top or perhaps you prefer Han Solo shooting hearts! My favorite is the decorated Stormtrooper face – it’s an intricate design along the lines of the sugar skulls traditional for the Day of the Dead celebrations, or perhaps someone got bored at work and had a doodling session! Either way, it’s an unusual design for a Stormtrooper helmet. This last selection of tank tops feature a full color design across the whole tank top. The first two show poster style images from A New Hope and The Empire Strikes Back but my favorite is the galaxy design with the TIE-fighters and X-Wings fighting near the Death Star. 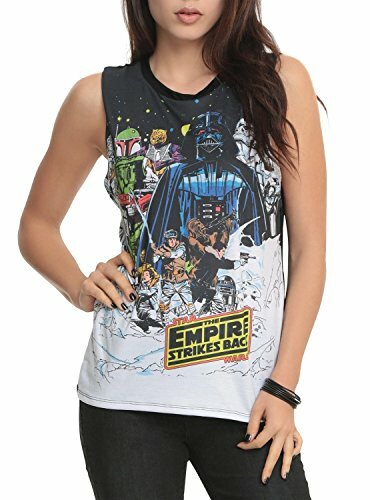 Star Wars tank tops and t-shirts are always a great gift idea for any Star Wars fan and these cool designs would be perfect for any lady who loves Star Wars. 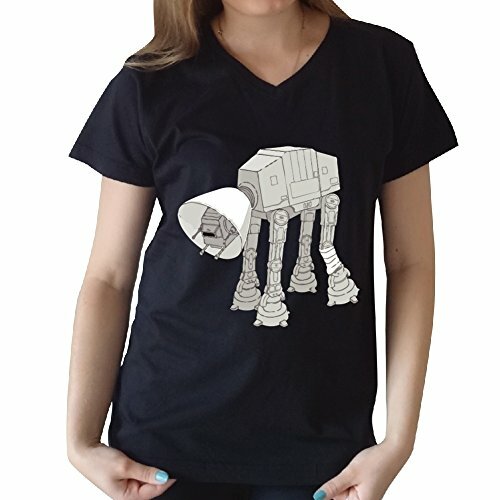 It’s Star Wars Day on May the Fourth and Mother’s Day is coming up on May 10th so now is the perfect time to check these Star Wars t-shirts out. If t-shirts don’t appeal, then check out our other Star Wars gift selections.